New Orleans has had its share of musical masters. Antoine “Fats” Domino, Jelly Roll Morton, and Stride piano greats James Booker and Dr. John are but a few of immortal New Orleans performers. Matt Lemmler may not have the notoriety of some the aforementioned artists but it does not mean he is any less skilled. Lemmler was educated at Loyola University and the Manhattan School Of Music ultimately earning a Master’s degree in music. He toured for several years with Andrew Lloyd Webber’s “Phantom Of The Opera” before striking out on his own. 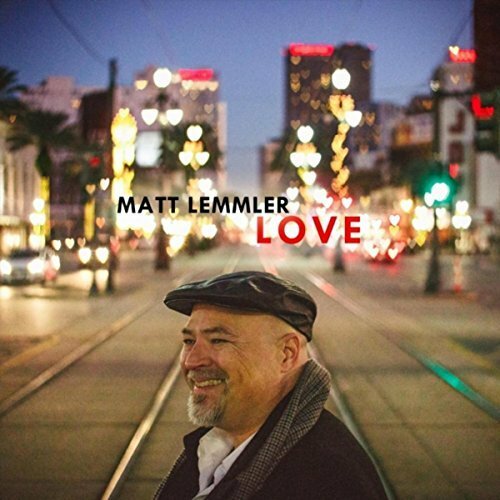 Mostly unlike a lot of high octane, up tempo New Orleans jazz, “Love,” as the title suggests, is a more somber work, more reflective, more introspective and the predominance of the tracks are soft and melodic. As a youth, he looked up to Billy Joel, both from a singing standpoint as well as his piano playing style. I suppose it is a little too hard to take the “Quarter” of the kid as I got a real “Vieux Carre’” feel to this work. My review sample also contained a bonus disc titled “Southern Songs and Sonatas” for a total of twenty-five tracks. Call it a cross between Dr. John and Billy Joel. Call it New Orleans Jazz. Any would fit. I simply call it excellent.